We usually think of presentation binders as a simple, convenient way to keep documents organised—but in fact, they have the potential to do much more than that. 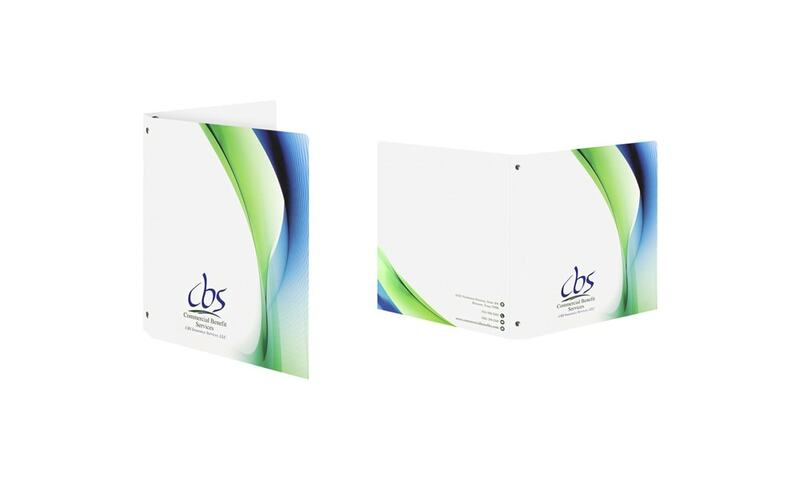 If it’s designed in a deliberate and aesthetically pleasing way, a binder can colour a recipient’s perception of the marketing materials inside of it. If the binder’s design is light and optimistic, the documents within might take on a cheerier tone. Conversely, if the design is dull and drab, recipients probably won’t think much of the materials inside—or of the company or individual responsible for them. This is why creating branded ring binders is a much more critical task than you might think at first. Make a wrong move, and you could be hurting the business’s reputation. 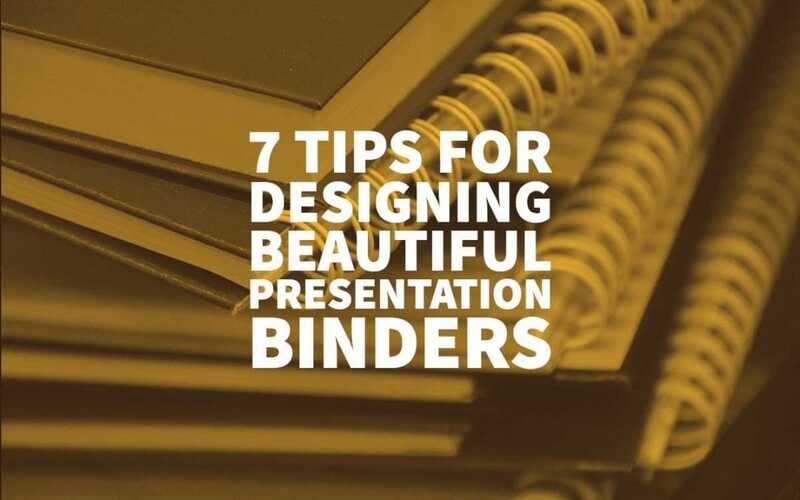 Here are seven essential tips to keep in mind when creating beautiful presentation binders. The first major decision to contend with when designing a binder is the material it will be made from. Presentation ring binders can be made from a wide range of materials, including vinyl, paper, poly, and litho wrap. Vinyl is typically the most popular choice. It’s durable, recyclable, and resistant to water damage. It’s also available in several different varieties, such as a “leather-like” vinyl that creates a more luxurious and engaging texture. 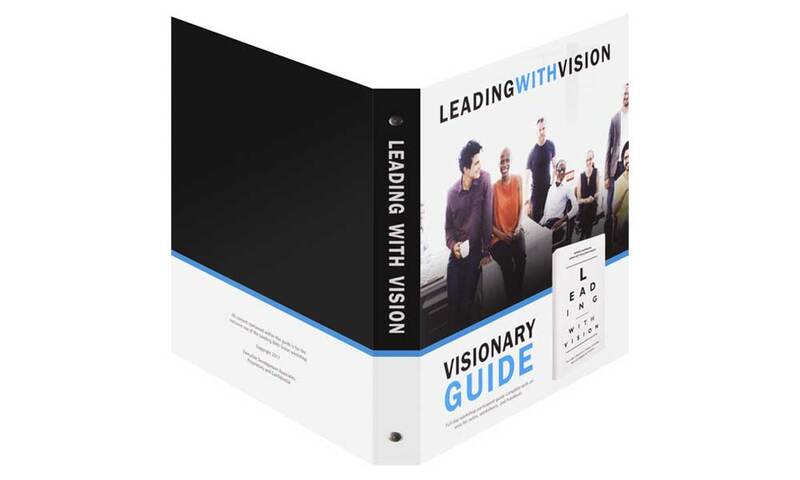 Alternatively, you can use “clear view” or “entrapment” presentation binders with a transparent cover, allowing you to insert cover designs of your choice. Paper binders aren’t quite as durable, but they’re light and easy to carry, making them well-suited for trade shows or conferences where they’re likely to be held on to for a while. Poly binders are incredibly durable, while still being relatively flexible. They’re suitable for outdoor or industrial settings where you want to avoid rips, tears, stains, or other damage. Turned edge (also known as case made) binders are made from litho wrap and look similar to a handcrafted hardcover book, creating a continuous design that looks clean and professional. Choose the material that feels most relevant to the business’s branding (and that will be best suited for how the binder will be used). Nearly every binder has roughly the same shape, but that doesn’t mean there isn’t still potential for customisation and stylisation. An excellent way to start is by choosing a set of dimensions. Typically, you’ll want a binder slightly larger than the documents you plan to put inside. For letter-sized materials, that means a 9 x 12 binder. For smaller papers (or ones folded in half), you might want a 7 x 9 binder. You’ll also need to decide whether you want your custom binders to include pockets—and if so, how many. Pockets give your binder a simple way to add and remove materials on the fly, even if they aren’t punched with three holes. There are other ways to individualise your binder further, as well. For instance, easel binders feature a built-in display stand that makes it easier for others to view a particular document when the binder is placed against a surface. You might also consider adding a custom die cut to the binder’s cover. 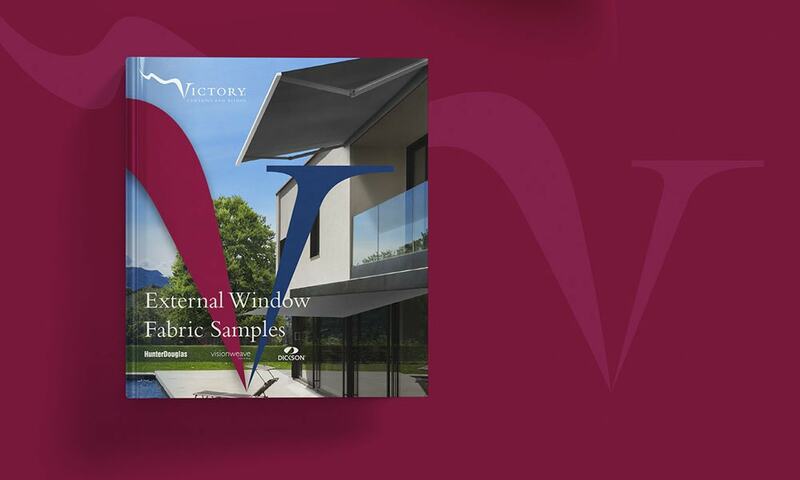 For instance, a shaped window could provide the recipient with a sneak peek of your information packet’s cover sheet. When people refer to “one-inch” custom 3-ring presentation binders, many think that the “inch” refers to the width of the spine. However, that’s not exactly true—it typically refers to the diameter of the binder’s rings. 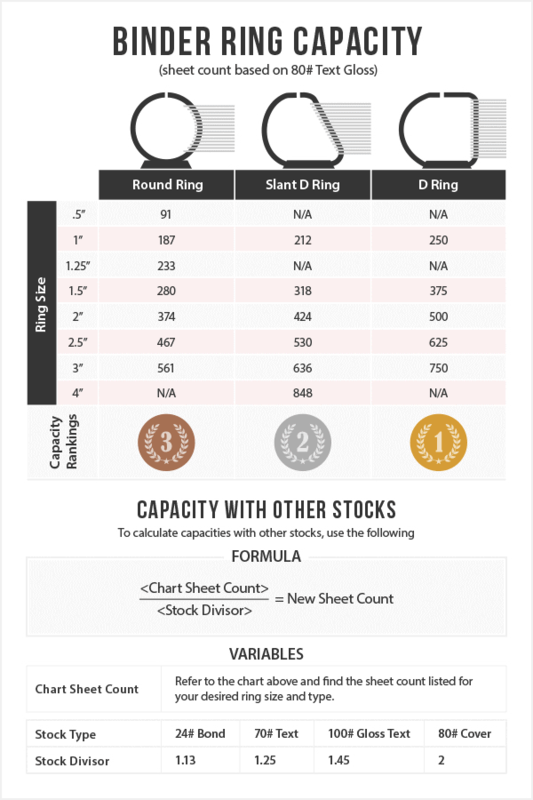 More specifically, that’s how you measure a standard ring. With D rings and slant D rings (which have more of an asymmetrical shape with one straight edge), the size of the ring is measured using the length of the straight edge. The size and shape of a marketing binder’s rings determine how many documents it can comfortably hold. When you create customised presentation binders, make sure you correctly understand how binder capacity works. Refer to the chart below for more information. The imprint methods available to you will depend somewhat on what type of material you’ve chosen. PMS ink is compatible with vinyl, poly, and paper binders. It’s pre-mixed, making it the best choice for colour accuracy and consistency, which makes it a good choice when you need to match a particular brand colour. CMYK ink (also known as four colour process) is mixed during the printing process itself. The colour accuracy is less reliable, but this method allows you to achieve a full spectrum of colour, making it ideal for printing multicoloured photos and illustrations. This method can be used with paper and turned edge presentation binders. Foil stamps are suitable for vinyl, poly, and paper binders, and come in both metallic and non-metallic varieties. The foil has a distinctive look in addition to creating a smooth tactile element. This is an excellent way to add some visual prestige to a presentation binder design without spending a whole bunch of extra money. Rather than adding ink or foil to a design, embossing and debossing techniques (usable only with paper) create a model by shaping the stock itself. These methods can be used alone (“blind embossing”) for a more subtle visual look, or they can be combined with other imprint methods to blend clear visuals with a unique texture. Depending on your binder’s purpose, you may want to include additional text to help the design meet its objective. This might include a tagline, slogan, or call to action. The latter is especially important if you want the recipient to do something specific (such as visiting your website or signing up for a mailing list). If you need people to take action as soon as possible, create a sense of urgency by including a deadline or letting recipients know what benefit they’ll receive if they act fast. At the very least, you’re probably going to want to add contact information to your binder design so that recipients have a simple way to get in touch with the business. You don’t necessarily need to include every possible means of contact—just the ones that are most important. An online company is more likely to include a URL or social media page, while a brick-and-mortar business might focus on their phone number and street address. “A picture says a thousand words.” It may be a cliché, but there’s a great deal of truth in it, too. Photos and illustrations allow you to make your promotional presentation binders visually engaging and connect with recipients on an emotional level. Depending on the type of business you’re promoting, you may wish to include images of an exciting new product, a group of friendly staff members, or even something abstract that suggests the general personality of the company. Images of human faces help to make your design more engaging on a personal level, while product images or photos of your services in action help to give recipients a better idea of what you have to offer. Be careful not to overload the viewer with too many images at once, especially if those images don’t bear much resemblance to one another. Too many different visuals will confuse them about the brand identity. Note that for the most colour-rich images (such as full-colour photography), you’re going to want to use four-colour process—and that’s only possible when printing on paper. Sometimes all it takes is a little something extra to help your binder design reach its full potential. Here are some of the accessories and add-ons you can use to enhance a binder’s look or functionality. Closure devices such as Velcro, magnets, or tuck tabs help keep your binder closed at all times, while also adding some visual interest. Sheet lifters are plastic accessories that you can insert into a binder’s rings, making it easier for users to turn the pages. They also help prevent the pages from bending when the binder is closed. Tabbed inserts or dividers allow you to split and sort the contents of a binder into easy-to-navigate sections. A reinforced finger hole in the binder’s spine provides a simple and easy way for recipients to remove it from a shelf. With the right design plan, binder marketing can allow a business to make a great impression with potential clients or partners. The important thing is to make sure that it fits with your entire campaign. As you create your design, remember that no single marketing piece is an island. Your binder should be visually consistent with the rest of your marketing materials—not just the printed ones, but your website and social media presence, as well. If you’re still having trouble developing presentation binder designs, look for inspiration in design galleries and portfolios. Sooner or later, you’ll find something that sparks your creativity. 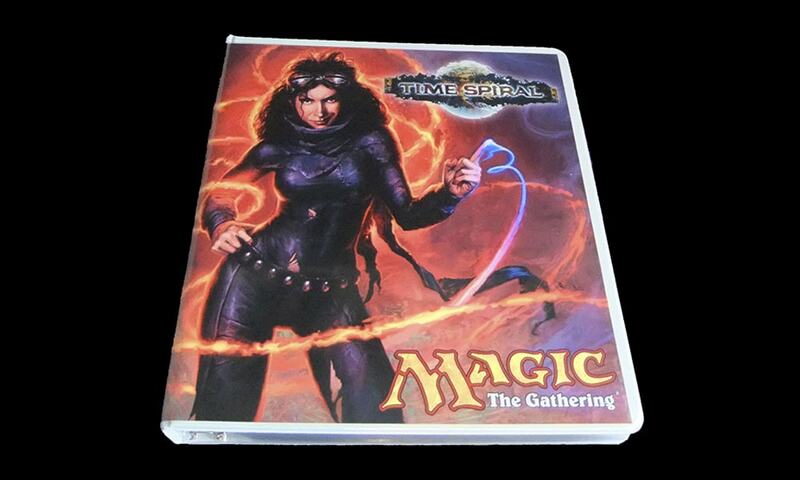 Do you have more tips for designing a professional binder?